Fire manifests itself in a variety of ways, and each type of damage requires slightly different techniques for cleaning it appropriately. Fires are categorized in 3 primary ways: protein, natural and synthetic. Each produces unique smoke and soot damage. Rainbow International Restoration of South & West Suburbs has the knowledge and experience to determine what cleaning, deodorization, and reconstruction applications are best suited to restore your property to pre-loss condition. Mold remediation encompasses identifying and addressing mold issues within a structure. 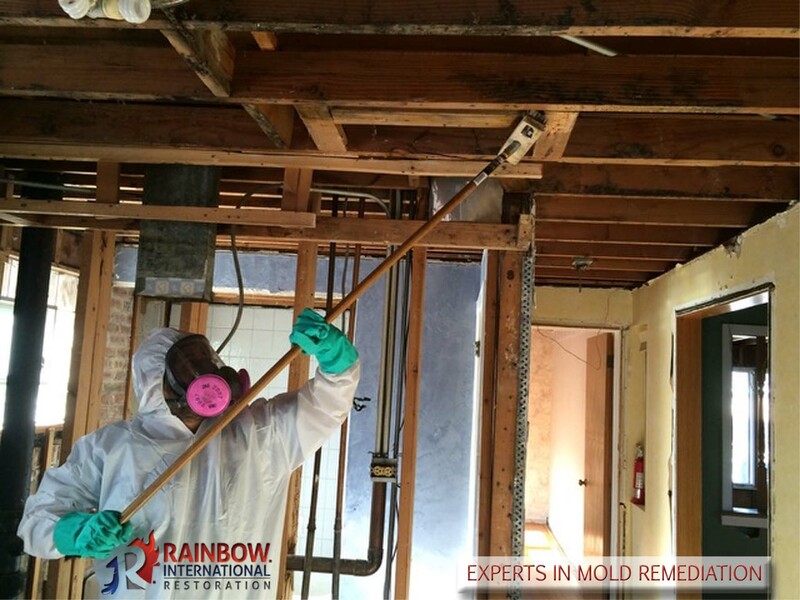 Mold remediation prevents the spread of mold by isolating damaged areas, removing affected material and eliminating moisture sources (the cause of the mold) in order to reestablish a healthy environment. Seeping water damage is progressive, pervasive and can mean valuable objects may become permanently damaged – especially if emergency response is delayed beyond the first 48 hours. Water damage can be categorized by a variety of issues such as plumbing failure, storm damage or even a supply line. When moisture seeps into anything of value there are immediate steps that can be taken to reduce the amount of long-term damage that results.